Dengue fever is a systemic and dynamic disease, the clinical presentation depending on the different phases of the disease. 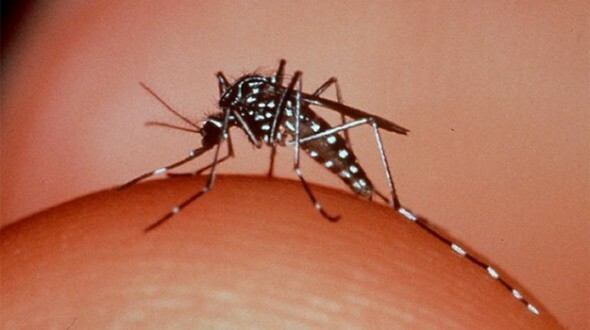 After a person being bitten by an infected mosquito (usually 2-7 days), the illness begins abruptly and will be followed by 3 phases which is the febrile, critical and recovery phase. Therefore, a patient suspected to have Dengue fever will be assessed in a stepwise manner when he comes to the health clinic. Patients may arrive in the clinic or emergency department with nonspecific complaints. Most times, the diagnosis will be suspected during the gathering of the history. It is important to ask about recent travel, the constitutional symptoms and if patient live in an outbreak area. The key is to obtain a good history and suspect the diagnosis early. After the history taking and clinical examination completed and the diagnosis of suspected dengue case is established, a confirmation test such as COMBO rapid test kit for NS1, IgM and IgG should be performed. When did the fever/ illness start. Any other associated sign and symptoms.e.g.body ache, muscle pain, joint pain, headache, vomiting or diarrhoea. Can he/she drink or eat. Amount of fluid or volume taken. Laboratory investigation results: Increase in Haematocrit concurrent with rapid decrease in platelet count. Is patient staying in an outbreak area? Assess mental state e.g. consciousness, alertness or any fitting episode. Assess hydration status e.g. dry lips, coated tongue, skin, urine output (frequency, volume, time of last voiding)and paediatric patients look access for activeness or reduce tears. Doctor/clinician will use special clerking sheet for all Dengue suspected cases (Table1). The information will include patients’ demographic data, history and clinical manifestations so that easier to put the diagnosis, disease staging and severity assessment. Any suspected or confirmed dengue case is compulsory to be Notify to nearest district health office via phone followed by disease notification form Health 1 within 24 hours after the diagnosis made. If admission is indicated, stabilise the patient at primary care before transfer. Dengue monitoring record (TABLE 2) will be given to patient and to be used for outpatient care. Dengue monitoring record will be given to the patient with suspected or confirmed Dengue diagnosis. Details regarding temperature, blood pressure, pulse, haematocrit, white blood count and platelet should be written in the card by the attending doctor/medical health assistance so that all relevant information is available for the subsequent follow up. Daily follow up is important for dengue patient until discharge by the doctor, to avoid any complication or death. Clinical Practice Guidelines (CPG) Management ofDengue Infection in Adults (Revised 2nd Edition) (2010). http://www.who.int/csr/resources/publications/dengue/Denguepublication/en/ Dengue haemorrhagic fever: diagnosis, treatment, prevention and control. 2nd edition. Geneva: World Health Organization.